Even the slightest problem with your car like a buckled wheel, for instance, can be a safety hazard leaving you no option but to drive straight to the closest auto repair. Not being able to use your vehicle can result in many inconveniences including cancelled plans, delays, and additional expenses such as taxi fares. Are you looking for quick buckled car wheel repair services at a reasonable price? We have got you covered! Our skilled mechanics are the best in their field. They will make sure your car is ready as soon as possible, 100% safe to drive, and can easily pass the MOT test. Leave the car wheel straightening to professionals, and you will not be disappointed! What are the signs of a buckled wheel? If you have noticed any symptoms from the list above, we recommend checking your wheels thoroughly as they might be buckled. Driving with a damaged wheel is not safe even if the buckle is minor. It can result in a tyre blowout at high speed causing a potentially dangerous traffic situation. Remember: better safe than sorry! Alloy wheel straightening is very common and doesn’t cost a fortune. How does car wheel straightening work? We remove the tyre and check it for cracks and buckles which may occur due to a recent impact with a kerb or a pothole. We measure the wheel to mark uneven areas. We heat the wheel at high temperature to soften the metal and make sure it doesn’t crack when pushed back into shape. We use the hydraulic press to fix uneven points. We fit the tyre and balance it. Buckled car wheel repair can be done in less than 48 hours, so you will be able to use your car again in the shortest time. 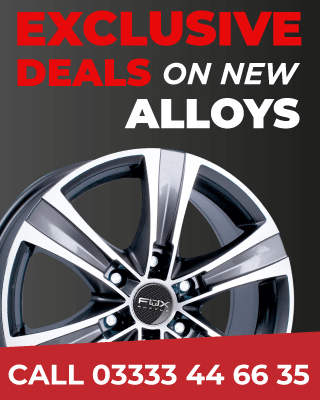 Are you looking for alloy wheel repair in Manchester? Look no further! We offer premium service at affordable prices to owners of BMW, Porsche, Mercedes-Benz, Audi, Volkswagen, and Vauxhall vehicles. Fill in the short online form to request a free quote now to book an appointment with one of our mechanics. If you have any questions regarding our services or buckled alloy wheel repair cost, please request a callback from our responsive customer service. Drive safely with Manchester Alloy Wheel Repair! I have had a good rant about the potholes so now is the solution you want to hear. A buckle on a wheel is not the end of its life as it once was years ago. If you find the right Alloy Wheel Repair Specialist the Buckle can be straightened out at a fraction of the cost of a new wheel just as a crack can be welded, obviously the weld must be perfect or your tyres go flat. There are lots of wheel specialists out there so try them first it is always going to cost you less and keep you safe. It’s a bit like comparison websites you need to do it in the right order – wheel specialist first and garage second and it saves you money.